Rolling Steel offers years of dependable service, fit into nearly any space, and are designed for nearly every application. Our Roll Up Doors offer the best in dependability and effeciency. 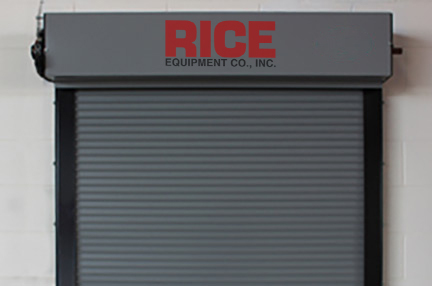 Rice Equipment offers industrial rolling steel doors, coiling Fire Doors, Fire Shutters, Counter Doors, Grilles and Side Folding Grilles to exceptional standards of quality. Our promise is to deliver affordable, owner-friendly rolling steel doors that are reliable, architecturally pleasing, simple to maintain and provide years of performance. 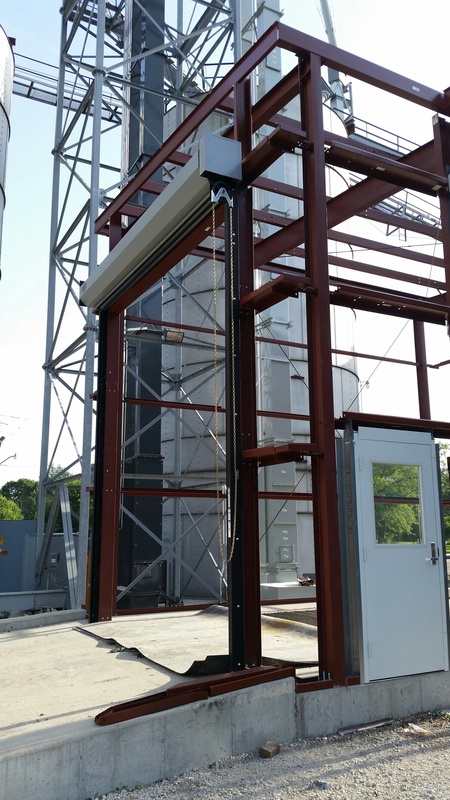 Series 6000 Coiling Doors are available in insulated and non-insulated models in a variety of guages, slat profiles and colors. C.H.I. 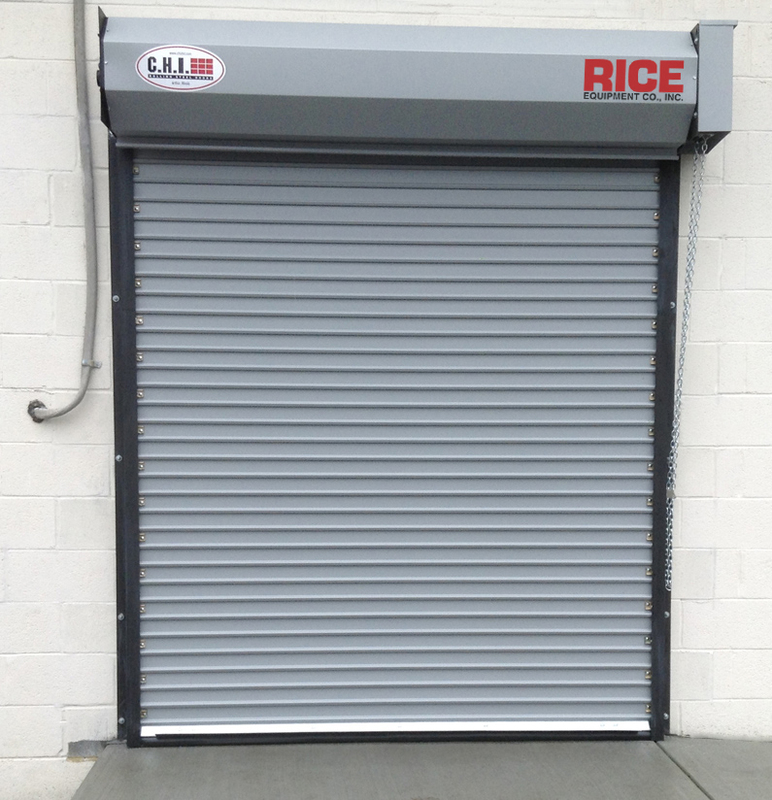 Coiling Counter Doors are available with steel, stainless steel or aluminum curtain options.